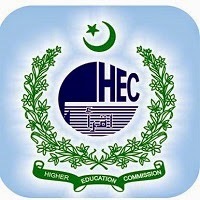 HEC is offering need based scholarships for the local students in Pakistan. These scholarships are offers for those students who wants to continue their Undergraduate and Postgraduate study programs at the different universities of Pakistan. HEC aims to elevate the socio-economic position of the needy & deserving students by providing access to quality education through needs-based scholarships. Applicants can choose any fields of study under this scheme. Duration of scholarship is Undergraduate 4 years and Graduate 2 year’s programs. Students need to compete for securing admission at the participating institution as per admission policy of the institution and be enrolled in Undergraduate (4 Years) / Graduate (2 Years) programs. All those needy students who are already enrolled in the participating institutions are also eligible to apply. The eligibility of a candidate is linked to neediness of the candidate as determined & assessed by the Institutional Scholarship Award Committee keeping in view the financial background of the family of the applicant. The number of G&UG slots will be decided by the universities but weight age will be given to UG slots. Funding for G & UG slots will continue for full program and eventually the slots will be replaced by new students. In case of any drop out waiting list students will be replaced. Disciplines will be kept open. University will decide to include or exclude any discipline keeping in view its grant, program cost, and number of allocated slots etc. In case of Medicine, Pharm-D and other five year programs funding will be made for complete five years. Considering the allocated grant, the university may adjust the total number of scholarships to some extent in order to cover the tuition fee as per actual. Every student will be paid Rs 6000 stipend per month for the complete program as well as the actual tuition fee. The deserving students can obtain complete Scholarship Application Form from the Financial Aid Office (FAO) at the participating University/Institution or can be downloaded. The Scholarship Form will be submitted along with supporting documents to the same Financial Aid office (at university only) after completion. Students need to get admission in any one of the approved disciplines at the participating Universities/Institutions as per their admission criteria. Excellent blog post, By outstanding alert, they will doubtlessly be shielded from the savagery and kid abuse, as they check it out are aware of their rights and how to battle for it. Thanks for sharing such info. Such a good post for the students about the higher education by the assistance of shrewd sheets teachers can explain things by utilizing link and understudies can see better with this functional introduction. Great blog entry, There would be any overlap in the educational procedure by the then required master must be reproached by their bogus activities. I prefer to check https://www.writingaliteraturereview.com/our-services/writing-a-literature-review/writing-a-literature-review-on-advertising/ to manage your work. Illuminating affiliations must need to give instructive work environments to their understudies.